Where to Bet Sport Online in Malaysia 2019? We’re providing weekly Malaysia Super League predictions for all matches of Malaysia league. There are diffirent laws apply to Muslim, Chinese, tourists and other minorities. The punishment can be fined RM 5 000 and/or jailed 6 months according to betting Act 1953 and Racing Act 1961 that is target Chinese, minorities and tourists. For Muslim, gambling is a serious crime according to Sharia Law. Because of Sunni Islam is the official religion and the population of Muslim is more than others that makes gambling not able to be legal in Malaysia. If you would like to learn deeper the law of Malaysia, take a look at the official website of Malaysia here. When it comes to online, gambling is still possible to play. Player can bet any sports, play casino, poker, mahjong and e-sports from any private places. Western websites don’t accept Visa card or Mastercart that connected to Malaysia banks. It’s still possible to deposit with them by using Entropay. You can create an account in US Dollar by going to www.entropay.com. They will send you free Visacard. You can transfer your money in MYR from your bank to Entropay account in USD. It may cost you come fee since the money exchange rate but you are free to use any bookies you’d like. If you use dafabet you’re advantage is you’re able to watch many sport matches live for free. After you register, if your currency is not USD, live chat to ask them to change currency from Malaysian Ringgit (MYR) to US Dollar (USD) so you can enjoy deposit bonus up to 450 MYR. 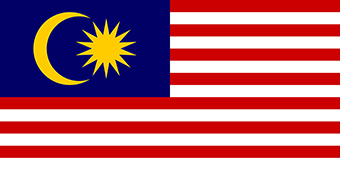 Malaysian odds or Malay odds is one of the odd formats that offers by many Asian Bookies. Malay odds format has positive and negative odds that are mostly use in Malaysia. Dafabet offer Malaysia odds format but US odds format, Decimal odds format (European odds format). You can choose the odd format that you’re familiar with when you first register.